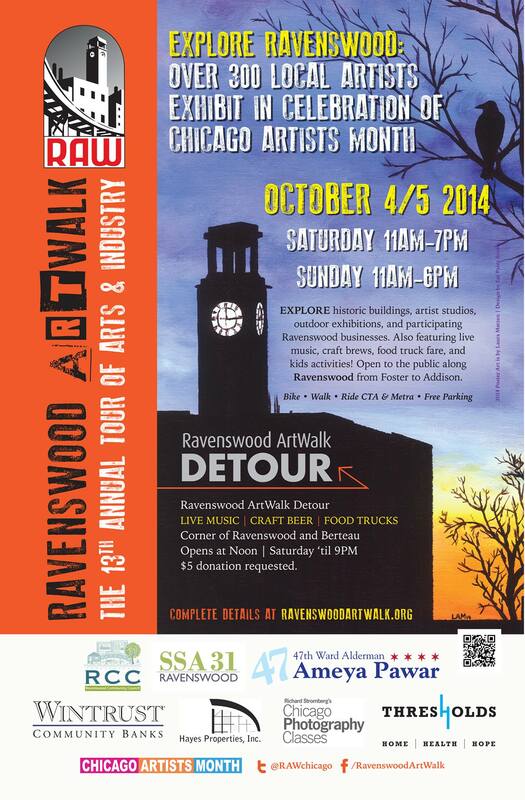 Celebrate Chicago Artists Month at Ravenswood ArtWalk This Weekend, Oct 4-5. The Ravenswood ArtWalk is always an exciting event and is part of Chicago Artists Month. This year it stretches from Addison to Lawrence and showcases over 300 artists in the galleries and warehouses along Ravenswood Avenue! You are invited to see my art at the thirteenth annual Ravenswood ArtWalk again this year. 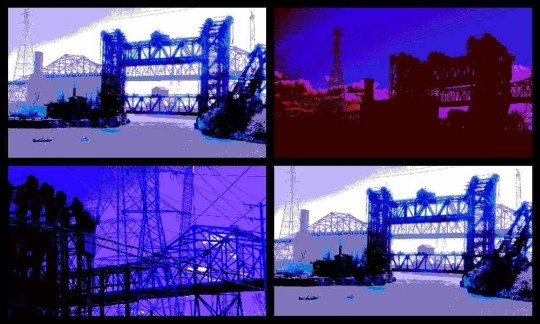 including digital art from my series, Steel Giants Of The Heartland, as well as paintings including cityscapes, landscapes, abstract and figurative art. 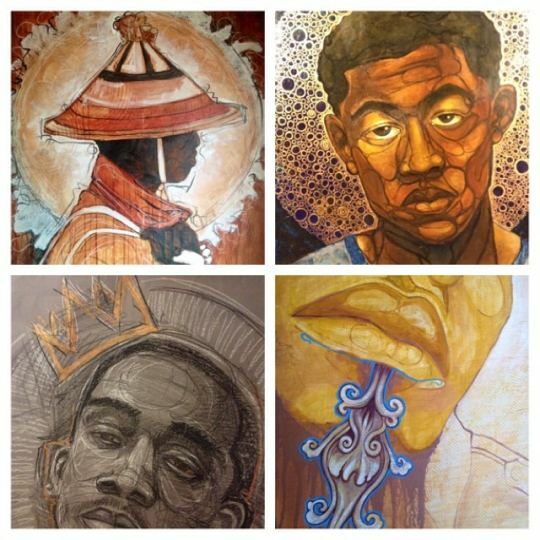 Where: My art is at 4043 N. Ravenswood Avenue in Chicago on the first floor. Ravenswood ArtWalk Features Music & Food – Not just for visual artists! Live music, craft beer and food trucks, and an urban craft beer garden! Hope to see you there. This cityscape by Leon Sarantos, C-Shop, Coffee Shop At UChicago, is on display in the “Artistic License” exhibit at Studio 659, Indiana, until November 30th. Indiana artist and art professor, Lou Shields,is this year’s juror. Artists were invited to use artistic license in selecting the best of their art, and applied from across the country. Opening Reception is on this Friday, November 8, 7-9PM. Prizes and awards will be given in the first hour. 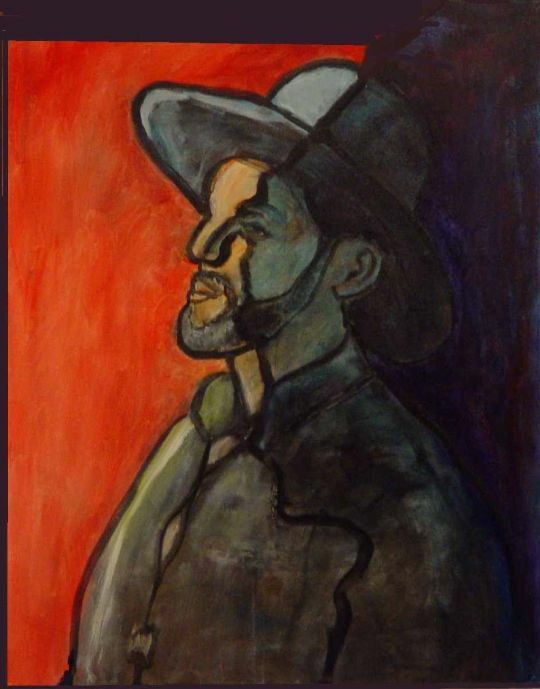 His second artwork that was accepted for the exhibit, Preacher Man, is a figurative painting that combines both abstract and realistic approaches. In this artwork, he uses high contrasts of light and dark to present a quickly readable abstract pattern, which in turn contains realistic details and modeling in the shaded and highlighted areas. Hours of Operation: Thursday & Friday – Noon – 7 pm; Saturdays – 10 am – 2 pm. The “Mad World”, National Juried Exhibit is at Union Street Gallery in Chicago Heights. The opening reception will be on Friday, March 8th, 6-9PM. The juror for this exhibit is Natalie Domchenko (Director: Peter Miller Gallery, Chicago). The Mad World exhibit will feature art that is absurd, surreal, and simply MAD! Mad World will display art by 34 artists from 11 different states. Some of the art on exhibit depicts bizarre or imagined worlds, crazy structures not bound by the laws of the gravity, whimsical inventions, and strangely absurd scenarios that appear to be straight out of fantasy or science fiction! “Mad World” will be on display from March 6 to April 6 with the opening reception on Friday March 8th, 6-9pm. Opening reception is free and open to the public. Patrons will enjoy complimentary wine and food while they explore this strange and beautiful exhibit. Union Street Gallery located at 1527 Otto Blvd, Chicago Heights, IL 60411. For more information visit the website www.unionstreetgallery.org, or call 708-754-2601. 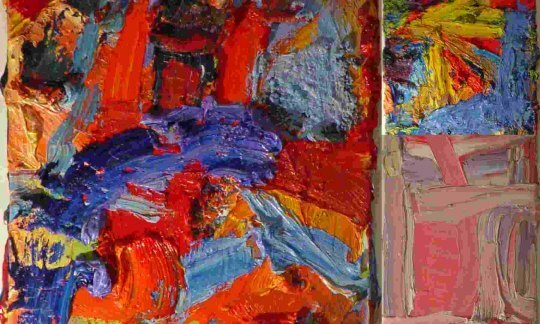 Leon Sarantos is pleased to announce his solo art exhibit, “A Love Affair With Colors.” The exhibit is at CornerStone Art Gallery in Whiting, Indiana during October and November with a reception on Friday evening, October 12. Sarantos uses color “as a driving force to create art that is recognizable to the viewer, yet abstracted from a literal representation.” His art explores the interplay between abstraction and realism across genres such as figurative art, still life and cityscape paintings. 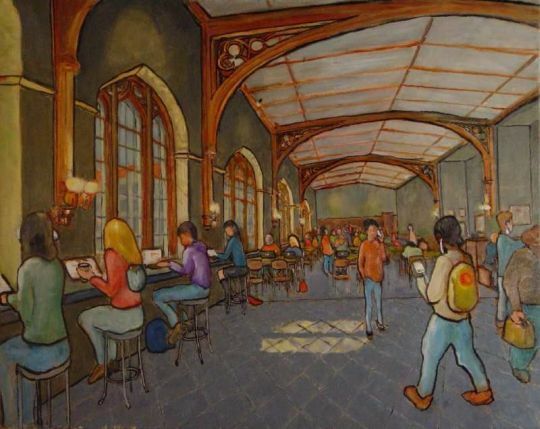 For example, his painting C-Shop, Coffee Shop at University of Chicago, presents a Chicago scene in a way that is representational without being photorealistic. 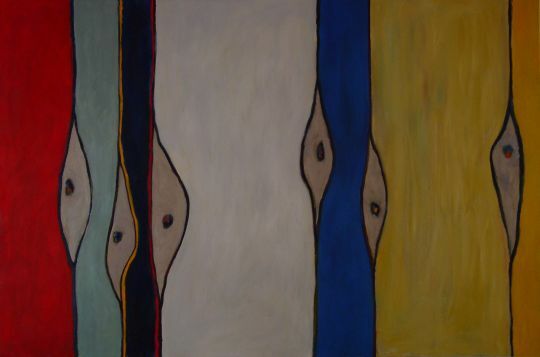 This painting is from his cityscape series, Chicago on Canvas, which includes six paintings. The exhibit will include both oil paintings and photographs. His photography, in the form of digital art, also explores the interplay of representational photography with digital transformations that present a more abstract view. Two series are included: Digital Gothic and Chicago, City of Bridges. Digital Gothic: Includes scenes from the University of Chicago campus, featuring details from its Gothic Revival architecture. 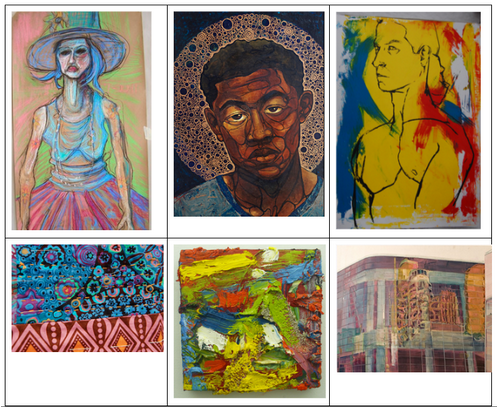 These artworks were also featured in the recent “Art Takes Times Square” exhibit. “Blue Flowers At Botany Pond” was selected by the editorial committee for an art book, Art Takes Times Square 2012, and is on display at his exhibit.